Dr. Mark Mitchell JonesM.D., F.A.C.S. Dr. Mark Mitchell Jones has put together a team of friendly and experienced medical professionals to aid in his renowned ear congenital deformity and ear trauma surgeries. Each team member shares Dr. Jones’s dedication to helping our patients make an informed decision about surgery. When you come to our office, you’ll be walked through each and every step of the surgical process. We have a long-term care team that is here to help you when Dr. Jones' work is done. Whether you have questions about financing options, scheduling, or general health concerns, one of our staff members will make time to get you the answers you need. At the head of this team is Dr. Jones, who will conduct your consultation, discuss your desired results, and give you a careful analysis that takes into account your medical history and current lifestyle. Taking all of these factors into account, Dr. Jones will formulate a customized solution, and give you an honest, realistic, opinion of the expected outcome. Dr. Jones specializes in microtia, ear reconstruction, and otoplasty, his results are aimed dually at medical and aesthetic objectives. Amanda joins our practice with a dynamic background in marketing, office management, and surgical scheduling. With high standards for care and customer service, she continually strives to maximize the patient experience. 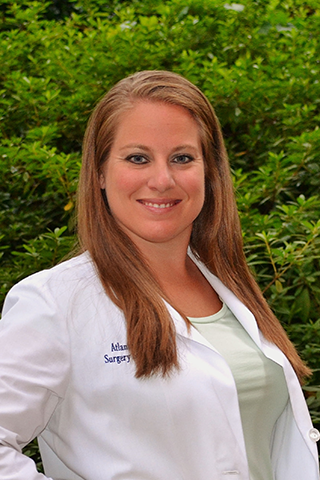 Amanda enjoys helping patients to create a customized surgical plan that is right for them. Amanda feels honored to be supporting Dr. Jones in building a practice where patients come first, and enjoys working closely with such a caring and talented physician. 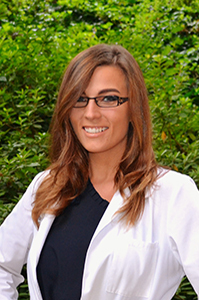 Amanda has an undergraduate degree in Marketing from Auburn University and has spent the last five years learning the ins and outs of plastic surgery. During her free time, she enjoys shopping, trips to the beach, and spending quality time with her family. Celeste comes to us with a background in handling insurance, billing, and spa and aesthetic services. With her excitement, flexibility, and skills, Celeste excels in wearing many hats at our practice. As a patient coordinator, she provides exceptional care and diligence to every patient as she guides them through the process, striving to exceed their expectations. As a skincare specialist, Celeste is well versed in cosmetics and has an eye for what looks great. She has a natural eye and talent for fashion and beauty and brings a fresh insight to our make-up line, GloMinerals, as well as our skincare lines, Revision, Obagi, GloTherapeutics, and Nelly DeVuyst. After graduating from high school, Celeste trained and perfected her customer service skills in spa services and cosmetic dentistry. This experience has jump started her ability to listen, understand, and guide her patients towards their aesthetic goals. Through her experience, Celeste has learned how important it is to be well versed in many areas of the practice to best serve the customers. That is why she is thrilled to be in such a diverse role at our practice. She is dedicated to helping others look and feel their best. Stephanie received her nursing degree from Augusta State University in 2007. She completed her studies through Kaplan University and earned her RN-BSN in 2012. Since graduating, Stephanie has worked for four years in neurology and three years in plastic surgery. 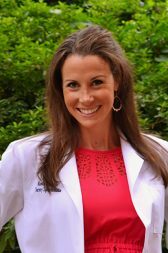 In addition to working for Dr. Jones, Stephanie currently works in the Transplant Unit at Piedmont Hospital. Stephanie is a fourth generation nurse in her family. Nursing is in her blood and she loves being a nurse more than anything. Stephanie truly enjoys caring for and working with people. 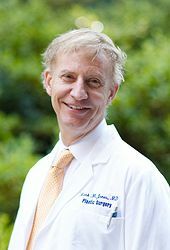 She is honored to be working with Dr. Jones, not only because he is extremely caring and enthusiastic, but because Dr. Jones brings such a deep level of expertise to the table from around the world. In her spare time she loves spending time with her husband, the outdoors, exercising, spending time with family and friends, traveling, and trying new foods. Stephanie and her husband also are involved in Buckhead Church through a small group and volunteering in the children's environment.